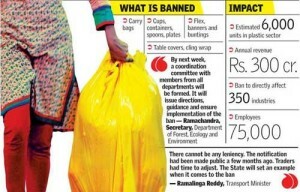 Despite a ban coming into force on Friday, plastic bags were freely available on the weekend across the city highlighting the enormous task before the government machinery to enforce the rule. 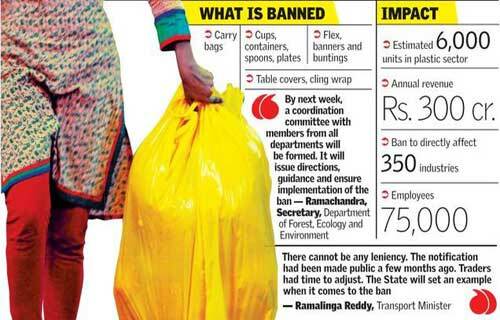 The ban on plastic covers everyday items like forks, spoons, cups and plates. However, ‘strict’ enforcement of the ban is expected to begin on Monday. Suresh Sagar, Honorary Secretary of the Karnataka State Plastic Association, has said there is no option but to move court. The Canara Plastic Manufacturers & Traders Association is similarly ‘worried’. “We will first try to get a solution through the government,” said B.A. Nazeer, president of the Association.